Feeling overwhelmed trying to keep up with the latest digital sales and marketing tools? Transforming your business to meet customer demand for convenience, speed, and relevance feels like a never-ending task. But managing your company’s Digital Transformation can be easier than you think. Need to maximize your sales and marketing investments? ListEngage is here to help. We exclusively support multi-cloud Salesforce technology. Sign up to meet with one of our executives at Dreamforce and let’s talk about your business needs. As the old saying goes, “If you are standing still, you are going backwards.” Even after a stellar year, continued growth is an essential objective for survival. The ways in which you communicate with your customers is continuously evolving, which makes Digital Transformation no longer an event but an on-going requirement. You know your business better than anyone. ListEngage knows digital marketing inside and out. We have been exclusively supporting Salesforce platforms and products since 2003. Put the three together — you, ListEngage, and Salesforce — and you have a ticket to success like no other. ListEngage has multiple Salesforce certifications and more than 14 years of experience in digital marketing strategy, data integrity and migration, third-party platform integrations, automations, responsive design, and more. The specialists from ListEngage will give you and your team insight into what is trending in the marketplace and how to maximize your investments in the Cloud. We’ll help you stay top-of-mind with customers by building one-to-one journeys that are timely, relevant, and personalized. Our team will show you how to use automation to increase efficiency and save on labor. ListEngage works with both domestic and international companies of all sizes, from many different industries. You can’t be everywhere, but with ListEngage by your side, it’s as if you are. Preparing for your journey starts with you and your team. Where to start? Formulate clear, concise objectives that are shared throughout your organization. Be consistent in your goals and messaging across departments. Involve key players from every sector of your organization as you plan. Make sure the right people are appointed to decision-making roles — ones who understand the processes and technologies needed. Understand your current data sources and their limitations. What are the challenges associated with managing that data, and what needs to happen to clean it up or migrate it? Review your current marketing and sales strategies, key metrics, and any existing messaging. What has worked? What isn’t working? Now is the time to prepare for a change in strategy and messaging, where needed. Take the emotion and personal opinions out of the equation. Statistics don’t lie. Listen to your stats. And, of course, have a solid (and reasonable) budget in mind. Do your research so there are no surprises. ListEngage understands that things are constantly changing, and this can seem like a daunting exercise for businesses. That’s why we’re here. Our team will help your company through the entire process — planning, strategy, pricing, all the way through design and implementation. 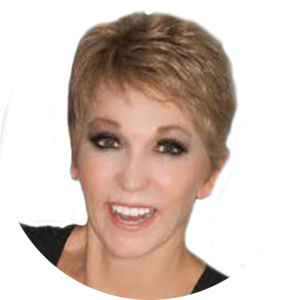 Nancy Winslow is a Certified Scrum Master and PMP Project Manager. She has more than a decade of software deployment experience as both a Project Manager (PM) and a Business Analyst. As a PM at ListEngage, Nancy works with clients to manage tasks and deliverables for their Salesforce projects, support the project planning process, and capture requirements. Nancy is experienced with both Agile and Waterfall approaches, as well as a hybrid of the two. Contact Nancy at nwinslow@listengage.com.